New data from Ulster Bank purchasing manager’s index has showcased employment levels on the rise, but simultaneously showing weaker growth of output and New Orders. 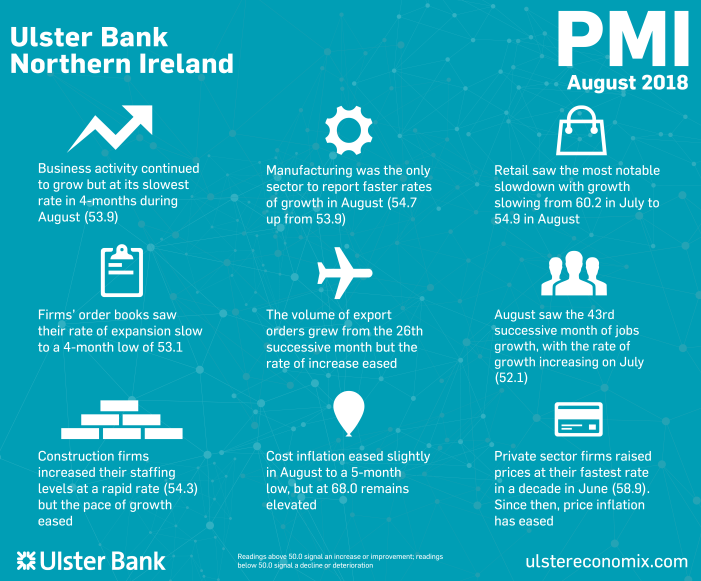 Ulster Bank PMI data from August signalled a loss of growth momentum in the Northern Ireland private sector, with new orders rising at the weakest pace in four months. 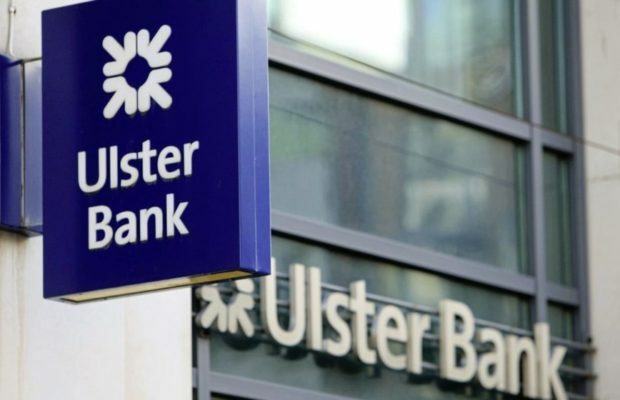 Although output and new orders continued to rise solidly, the data – which is produced for Ulster Bank by IHS Markit – showed rates of expansion were weaker than recorded in July. That said, the rate of job creation picked up, as did business confidence. Inflation of both input costs and output prices eased, but remained elevated. “Output and new orders growth both eased to a four-month low in August, whilst export orders saw the weakest rate in 10 months, albeit that it was the 26th successive month of growth,” said Richard. The headline seasonally adjusted Business Activity Index fell to 53.9 in August from 56.6 in July. The rate of growth was solid and output has now risen in Northern Ireland in each of the past 23 months, but the latest month signalled the weakest expansion since April. The increase in output in Northern Ireland was also slower than the UK average. All four monitored sectors saw activity rise, although manufacturing was the only one to record a faster rate of expansion than in July.